120 gsm polyester knitted fabric in front and 120 gsm mesh on back with cloth reflection tape, 2 horizontal and 2 vertical lines. Additional zip and 4 pockets. 2 horizontal lines and 2 vertical lines. Two Horizontal 5 cm Wide Normal Light Fibre Based Reflective Tapes Around the Waist,Zipper Closure On Front, 2 Front Pockets With Velcro,2 Front Pockets With Zipper, 100 Gsm Fabric. 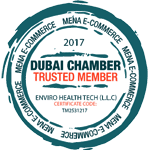 Ability trading LLC is a safety jackets suppliers in Dubai. 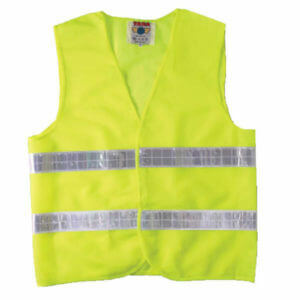 Our High Visibility reflective safety vests are available in lime green, bright orange, and other neon colors, a safety vest is easily seen in daylight, alerting drivers to proceed carefully. 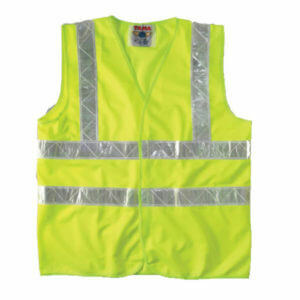 For added safety during the night and bad weather, a reflective vest becomes clearly visible in oncoming headlights. 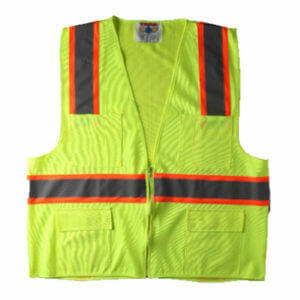 These reflective vests have reflective striping that reflects light. 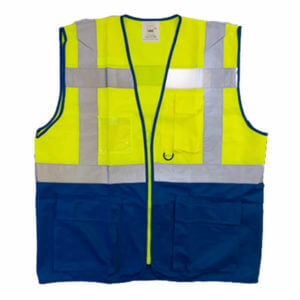 All our Safety vests are ANSI compliant.